Welcome to the SadoTech Model C Wireless Doorbell review! The SadoTech Model C is easily one of the most popular and highly rated wireless doorbells on Amazon at the moment! It could be the build quality, it could be the reliability, or it could be the fact that it is available in over 8 colors! Oh, and if you want to pick your own, you can buy a SadoTech Model C with a paint kit! 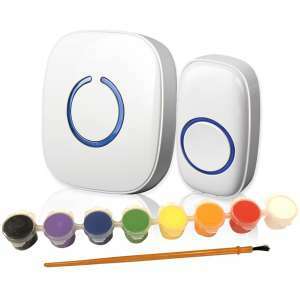 Paint your own wireless doorbell. I think that is a first…..
What is the difference between Model C, Model CX, and Model CXR? The range can reach up to 1000 feet with no interference. In a real-life situation, it is likely to get around 500 feet, which is still plenty. You need to think about what kind of interference you are likely to have in between the wireless push button and the receiver. How many walls do you have in between? How many electrical items? What about other wireless devices? They will also cause interference. It is a good option if you are looking for a long-range, but there are better long range wireless doorbell options. The SadoTech Model C has 52 tones to choose from and 4 volume levels. Whilst we are on the subject of chimes, you can actually hear before you buy! Take a trip to see the SadoTech Model C and scroll down to the technical specifications. There are 4 documents you can download, you will need the specifications sheet. On there are links to listen to all of the chimes! Ok, so this is a good option if you are looking for a cheap reliable wireless doorbell. Is there anything that lets it down? The push button is only rated IP33 against water and dust. While that is ok if rain is a rarity, but I would not trust it if your climate is prone to a few torrential rain storms! You need to be looking at a rating of at least IP44. There are some fantastic waterproof wireless doorbell options out there, take a look. Installation is very, very easy. 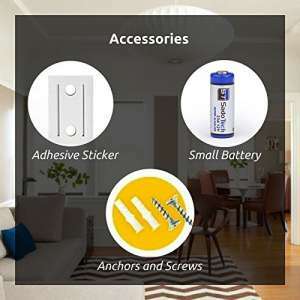 Simply plug the receiver into a power socket, match the receiver to the wireless doorbell chime before sticking (or drilling) the push button to your doorframe. The push button requires 1 23A 12v battery if you even need a replacement. 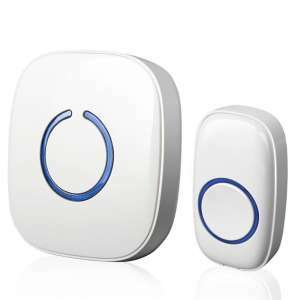 More details about which wireless doorbell needs which battery can be found here. SadoTech supply a 1-year warranty and a 30-day money back guarantee with all of their products, so if you are not happy, then simply return it. As with most 30-day money back offers, it must in like new…..as in you must not have used it! SadoTech has 3 options and they are all basically the same, just with more hardware for each model number! SadoTech Model C has 1 push button and 1 receiver. Model CX has 2 push buttons and 1 receiver. Model CXR has 2 receivers and 1 push button. They are the same push buttons and the same receivers. The SadoTech Model C Wireless Doorbell is a good, basic, cheap wireless doorbell. Sure, it is not going to win any awards for the best looking wireless doorbell, but it is reliable, easy to set up and great to use if you are hard of hearing (It has an LED alerts function!). Although it is a good option, there are better wireless doorbells available. It is worth considering other options. 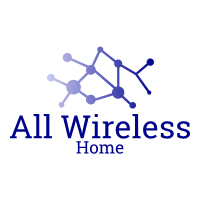 We are also increasing our wireless doorbell reviews page, where you can take a look at some other excellent options! Do you have a SadoTech Model C Wireless Doorbell? Are you happy with it? Please contact us or leave a reply below. We love to hear feedback! This SadoTech wireless doorbell is one of the most highly rated doorbells on Amazon at the moment. The only thing that lets this doorbell down is the waterproof rating. The best feature about this is the fact it is available in so many colors!